Amitabh Bachchan and Aamir Khan to star in Yash Raj Films Thug? Commando 2 directed by Deven Bhojani starring Vidyut Jammwal, Adah Sharma & esha gupta to release on January 6,2017. Kapil Sharma’s team says arrested scriptwriter Abhishek Singh isn’t a part of the production house! Rustom certified 12A by British censors on 9 August 2016. Approved run time: 147 min 59 sec. Mohenjo Daro certified 12A by British censors on 8 August 2016. Approved run time: 153 min 34 sec. 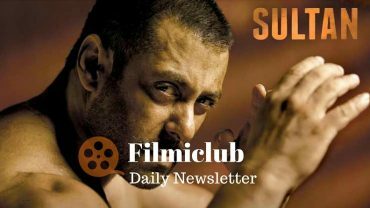 Sultan [Week 5] Fri 24 lacs, Sat 49 lacs, Sun 78 lacs, Mon 16 lacs. Total: 299.90 cr. India biz. Parineeti Chopra: Thanks guys. Foot has been shown to the doctor and is healing. Whats a show without an injury!! Parineeti Chopra To Join srk And deepika padukone In aanand l rai’s Movie? KRK: 56% ppl want 2watch FreakyAli n this result is proof, it’s a lottery for Nawazuddin n Sohail Khan coz of Salman.